Whenever I make a dessert with peanut butter I have to make sure that I have something else for the non-peanut butter eaters in the house. 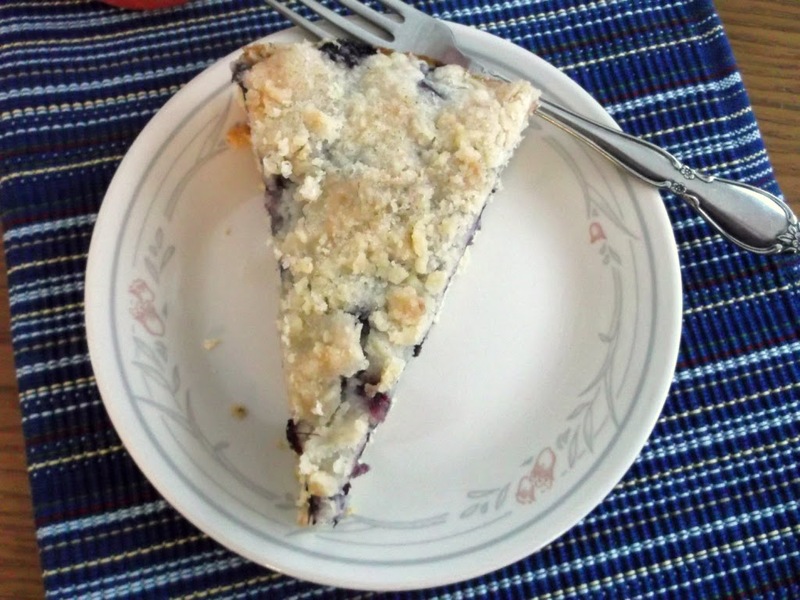 So when I made the peanut butter cup pie from a few post ago, I also made this blueberry kuchen dessert. In our house I can never go wrong with a blueberry dessert. Especially one that has a yummy crumb topping, and topped with a little dollop of whipped cream. Even the peanut butter lovers made a little room to sample this dessert. I found this recipe at Canela Kitchen, Gloria the owner of this blog is from Chili. So this meant that I had to convert gram to cups, Celsius to Fahrenheit … you get the picture. But it was well worth having to figure out the conversion. Stop by Canela Kitchen and say hi to Gloria. She always has something wonderful cooking. In a bowl add the butter and sugar, pinch of salt, and flour, mix well until you have a crumble. Add the eggs and vanilla, mix until well blended, the mixture will be slightly sticky. Pat this mixture into about a 10 inch pan that has been buttered and dusted with flour. You may want to flour your fingers so that they mixture does not stick to them. 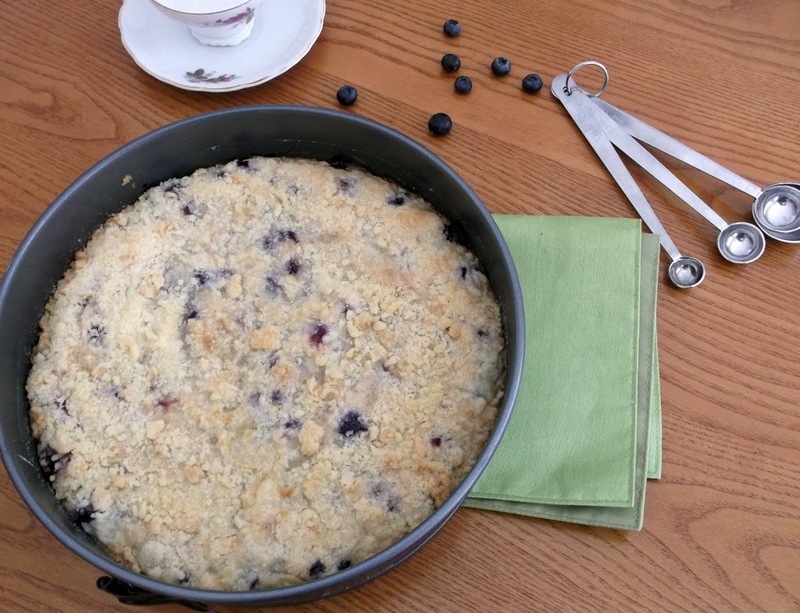 Once the dough mixture has been patted in the pan spread the blueberries over top. Gently pushed the blueberries down into the dough. Place pan into a preheated 350 degree F oven and bake for about 10 to 12 minutes, the dough will be starting to turn lightly brown. While the dough is baking mix the cream and sugar together. Remove pan from the oven and set on a cooling rack and let set for a couple of minutes. After a couple of minutes pour the cream and sugar over the blueberries. Make your streusel and crumble of the top of the cream. Place back into the oven and bake for another 43 to 47 minutes or until the streusel topping has turned a light golden brown and the kuchen is dry. This can be served warm or cold, it doesn’t matter either way is delicious. (Note: I used a spring form pan, but I wrapped the bottom with aluminum foil, because the cream will seep a little). After peanut butter, blueberries are another favorite! This looks scrumptious! I would of had to have a slice of each! Blueberries are a real favorite in our house, too. This looks like a terrific recipe – and the dish itself is so attractive too. Thanks for this. I am salivating, this looks so tasty. Thanks so much for dropping by my blog and leaving a sweet comment, Dawn. Have a great and yummy week. The layer of blueberries looks so great! And, I love the thought of a house with multiple desserts. This would be a big hit with my entire family. Dawn, Dawn!!! 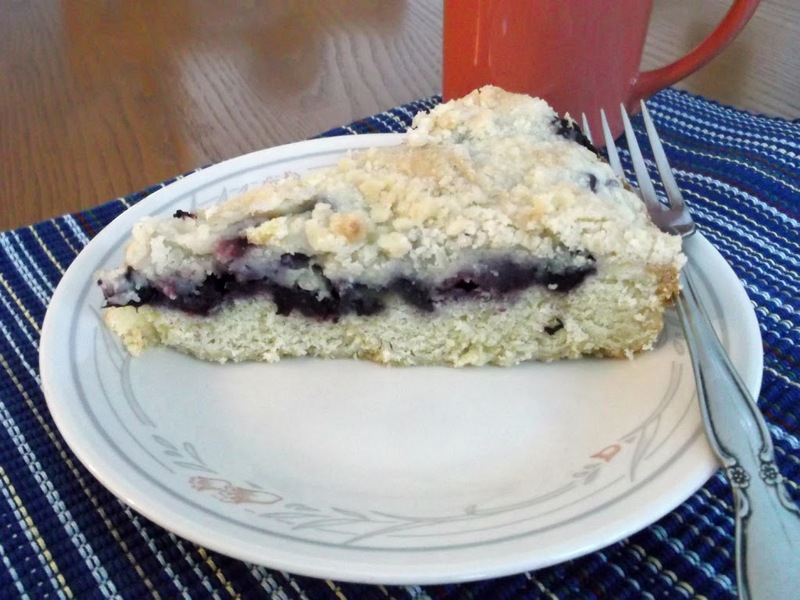 I am salivating like crazy… I am so in love with this Kuchen that I’ll have to try it soon. Thanks for visiting me!